After successfully launching your business idea, the very next step is to scale it, and that happens only when you are able to convince those mighty brains sitting on the other side of the table, who are going to fund your business idea (only if it makes a lot of sense to them). Last year in 2014, India’s IT hub ‘Bangalore’ was ranked 5th globally, after San Francisco, Beijing, New York & Palo Alto in terms of attracting maximum funds from venture capitalists. Technology startups these days are getting a lot of momentum, reason being the current generation is digitally evolving by leaps & bounds. Moreover, the startup culture is prevalent very much amongst youngsters due to its unique attribute of having work autonomy & decision making processes, unlike in jobs these days. 1) Seed Money: The initial money that you need, just to check if your business has the wings to fly or not. Generally not so large money is involved in it & it is used for basic pilot project or research job. 2) Startup Capital: The money needed to finance a proven business idea, which is already in application. It carries a low risk attached to it in comparison to seed money. 3) Later-round financing: Few businesses raise money in phases i.e. 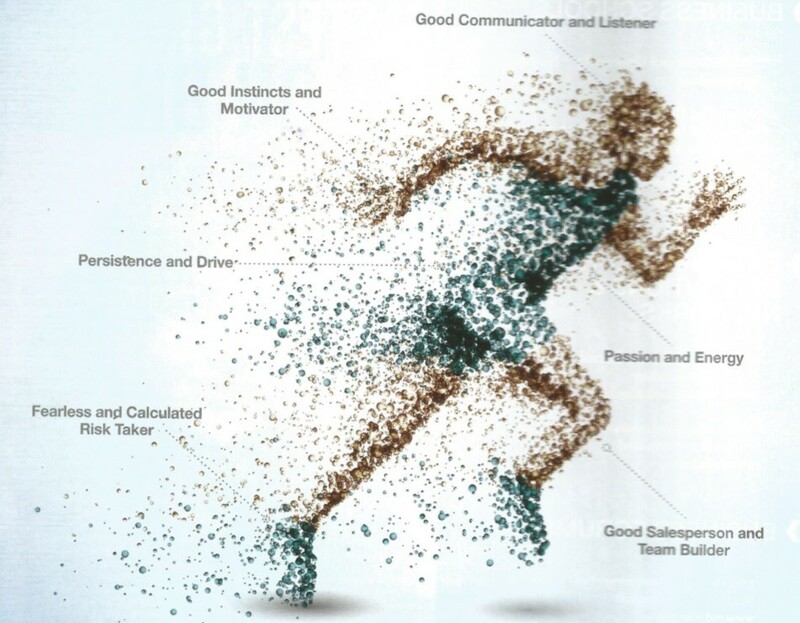 for setting up manufacturing facilities, for developing marketing channels, for infrastructure etc. 4) Bridge Capital: The money required to run the business, before it goes public. As generally, it takes a lot of time for completing the formalities to launch an IPO. VCs tend to invest in companies which showcase fast growth, having ability to pay back their money in short period & those that are going to be acquired by giants in near future. 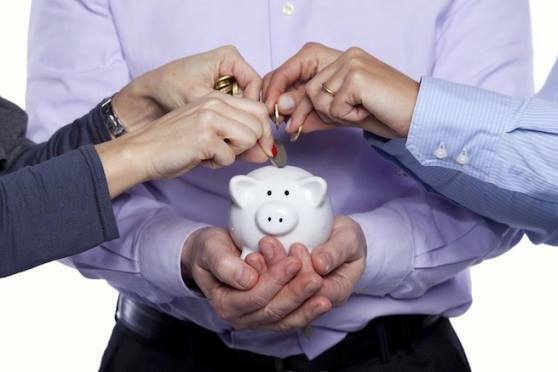 Do you have anything insightful to share about startup funding? Please do comment and let us know. The reason behind the sudden shift in policy making with respect to small & medium enterprises in country is a thoughtfully taken decision by government to nurture a long term & robust growth plan for the country. As India predominantly is a country dependent majorly on entrepreneurs & small business houses for employment generation, which has evolved significantly with support from IT industry & latest technological advancement. This shift in policy making is supported by entrepreneurship & post graduate oriented courses in India to enhance the talent & skill development further. 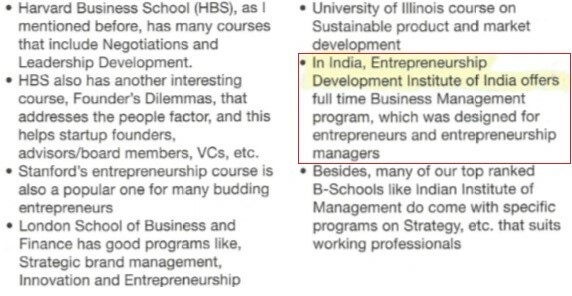 In a recent study by ‘Small Enterprise’ magazine it has been observed that Entrepreneurship Development Institute of India, Ahmedabad features amongst the few prominent institutes in this area. Mr. Shyam list down the ‘Ivy League’ institutes throughout the world, which offers course on entrepreneurship. EDI, Ahmedabad is the dedicated college in India that offers the full time courses on Business Management, which is designed for entrepreneur & entrepreneurship managers. Over a period of time several private institutes have come up offering courses on entrepreneurship but the quality & deliverables promised is always questionable. However, EDI, Ahmedabad on the other hand is consistently fuelling the growth story of several enterprises through its dedicated efforts of over 3 decades. 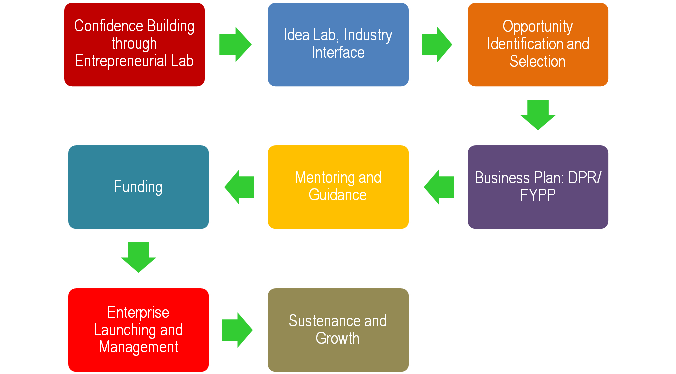 It has stood by its core value of promoting entrepreneurship amongst the youth of country. What are your views about EDI? Tell us. Entrepreneurship as a profession is surely going to fetch high momentum in coming years as the government too is focusing on it, with its ‘Make in India’ program inviting entrepreneurs & innovators to contribute in the growth story of India. 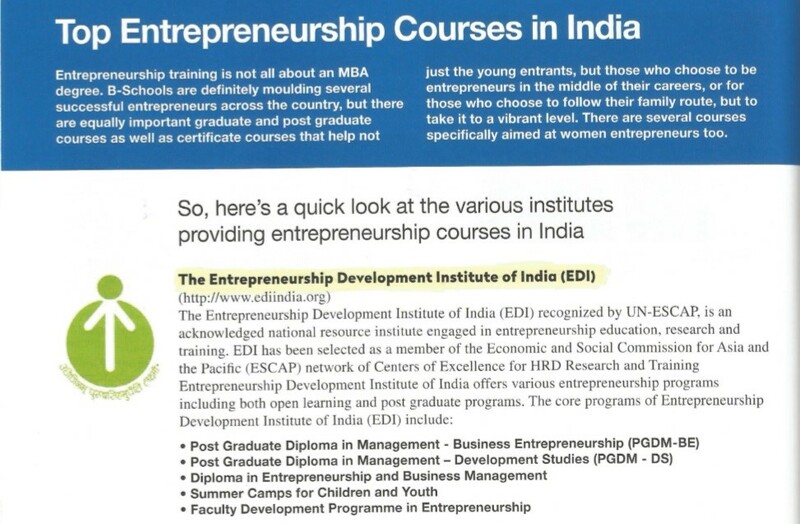 Entrepreneurship Development Institute of India is among the few prominent institutions of India that caters to the talent grooming of future entrepreneurs with its unique 2 year programme of Post Graduate Diploma in Management – Business Entrepreneurship (PGDM-BE). To achieve the above said objectives, the students are imparted rigorous training & mentoring by industry experts & leaders. 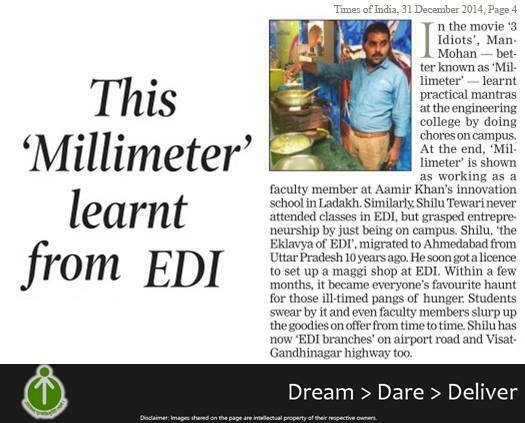 The students at EDI get trained in a systematic manner, right from their day one on campus. The unique feature of PGDM-BE programme is that it also caters sector specific courses for students, to which they are inclined to. These are known as ‘Seminar Courses’ and covers wide domains/areas from the industry, which gives a fair glimpse & first hand experiences to the students. While the students enter into the 2nd year of their course study at EDI, they are now trained on the business policies & strategies which are common to all the businesses at par in India. They are offered dual electives in Entrepreneurship i.e New Enterprise Creation (NEC) & Family Business Management (FBM) and & specialization in Functional Areas to pursue i.e Finance, International Business, Marketing, Human Resource Management, Information System and Language & Communication. Experimental Learning also forms a major part of EDI’s grooming process, which give the students a live on industry exposure through Summer Training, Projects: DPR/FYPP, Independent Study, Business Simulation, Entrepreneur Interactions & Industry Visit. EDI received a lot of media coverage recently. We are happy to share them all with you. 1. 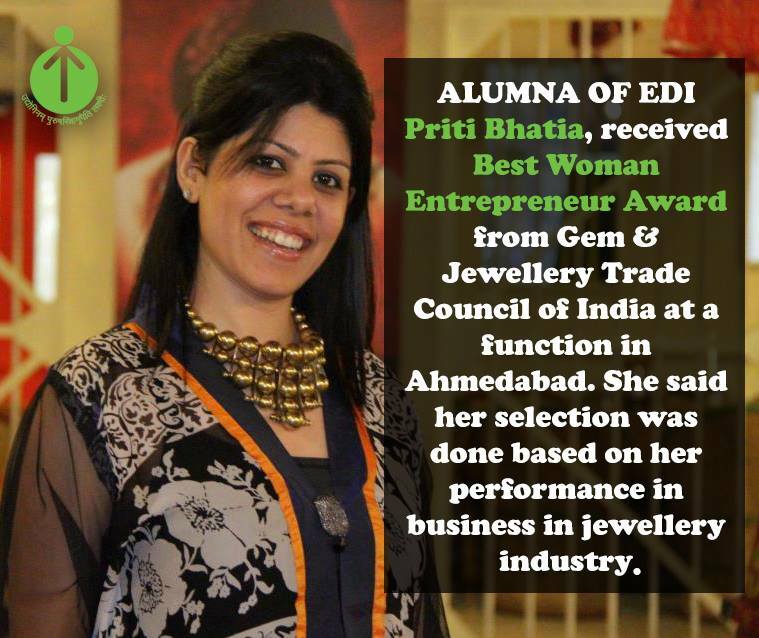 An Alumna of EDI, now a known face in the jewellery industry was featured in Ahmedabad Mirror for her achievement. 2. Any student who have studied at EDI can ever forget him. Shilu Tewari, the maggi wala who stands outside our campus has a story behind him. He recently got featured in TOI who shared his inspiring story. 3. Carpool – The newer version of telling ‘Sharing is Caring’. 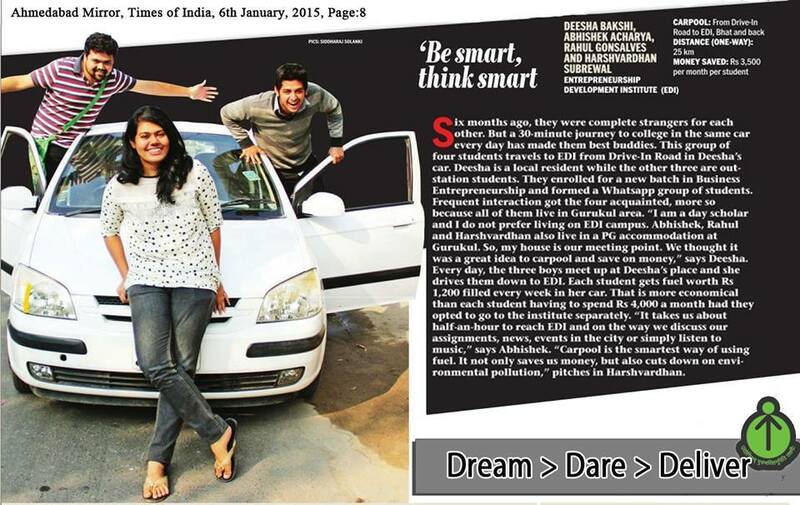 Four of EDI students, Deesha Bakshi, Abhishek Acharya, Rahul Gonsalves & Harshvardhan Subrewal got featured inAhmedabad Mirror for carpooling 50 Kms every day which helps them save Rs. 3,500/- each. EDI hopes to give out more creative minds to the world in the coming years.